Plants represent an essential element in interior décor and the living green of plants beautifies any room or space, and is considered by experts to be an absolutely essential design element. It doesn't matter whether you prefer just a splash of colour on a windowsill, a flower arrangement on a stylish table or desk, a hanging basket or a freestanding container. 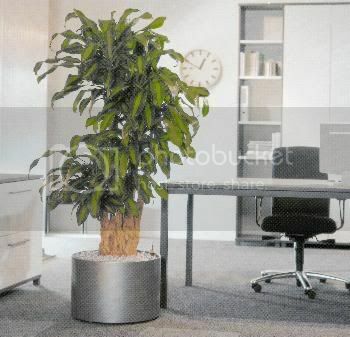 Your office environment will look better for it! 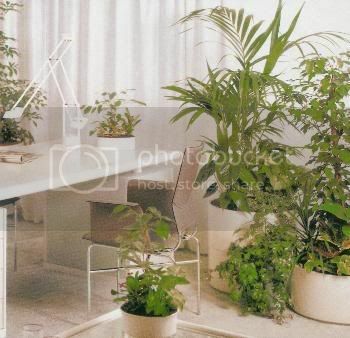 From a health point of view, plants improve the air quality in a room and take up pollutants such as benzene and formaldehyde, and expel oxygen making the air cleaner. Hydroponics is becoming the preferred method of growing plants indoors due to the fact that they are low maintenance, virtually pest free, easy to move around due to the light growing media used and are able to handle the harsh airconditioned indoor environment. Office managers should also take note that a healthy work environment means higher productivity and a happier environment for staff to work in. Hydro Masta can supply all the media required to transplant existing office plants from soil into a clean hydroponic system.